Click here to contribute to our campaign. Join us in our efforts. Unlike others, we will not be getting huge donations from the corporations and the wealthiest one percent that have taken control of our state. Ours is a grassroots campaign and we will need your support. EVERY LITTLE BIT HELPS! 2018 mirrors 1932. Republican economic policies led to and worsened the greatest economic crisis in world history. The impact on the working poor and middle class Americans was devastating. Franklin Roosevelt’s promised and delivered on a New Deal for America. Our campaign is promising a New Deal for Oklahomans. We will reverse the disastrous policies that have failed our state. The New Deal for Oklahomans will not raise but restore the disastrous tax cuts that were given to the wealthiest Oklahomans. From Luke 12:48. From everyone to whom much has been given, much will be required”. EDUCATION - We will properly fund education at every level so that the least among us can have access to opportunity. Great schools attract great businesses and great people. The Social Gospel was an early 20th century movement that sought to make society better through reform efforts inspired by the teachings of Jesus in the sermon on the mount. We believe that government should be inspired by these teachings. Tom Brennan is a graduate from Hartshorne High School. 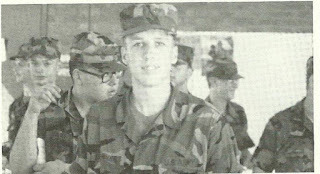 He served in the Oklahoma Army National Guard as an infantryman from 1989 to 1995. Brennan used the GI Bill to graduate from Northeastern State University with a degree in Political Science. Tom then completed graduate studies with a Masters degree in Political Science from the University of Central Oklahoma. For the past 21 years, Tom's calling has been in education. He is an accomplished high school history teacher of AP United States History and AP Human Geography. Tom is also an adjunct instructor at Carl Albert State College. He is a National Board Certified teacher and has won numerous awards including selection to attend a seminar sponsored by the Gilder Lehrman institute at Cambridge University in England. His greatest reward as a teacher comes from the recognition he receives from his students. Twice tom was selected as the teacher who most inspired them by Oklahoma Academic All State students from Poteau.